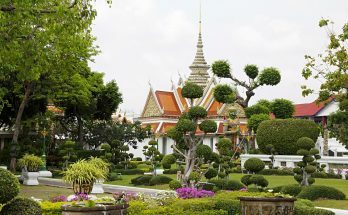 Bangkok, the largest city, and the capital of Thailand is a bustling cosmopolitan city. It is popular for its glitzy shopping malls and vibrant nightlife. A little-known secret though is that you can actually find some of the most delightful halal food in Bangkok that is quite impossible to find elsewhere. Whether you are looking for halal hotels in Bangkok or simple a Muslim-friendly experience in Thailand, read further to find out more about everything halal Bangkok has to offer. 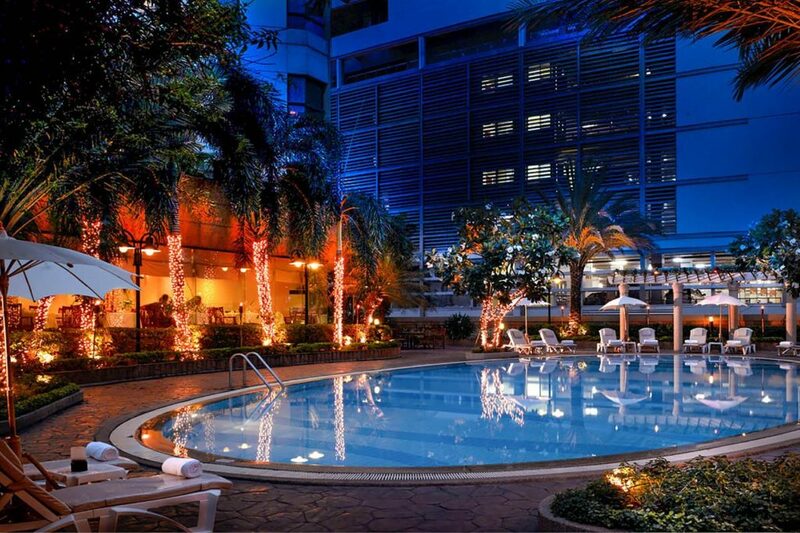 Sukosol Hotel is a very famous 5-star hotel that is near Phayathai BTS station. It has elegant rooms that feature traditional Asian decor with art nouveau-style decor and subdued tones. It is the only the only 5-star hotel in Bangkok with a 100% halal certified Thai restaurant, Spice & Rice, which serves authentic Thai cuisines. The friendly hotel staff will cater to Muslim travelers’ needs and are more than willing to recommend nearby Halal restaurants. There are also several mosques nearby such as Masjid Darul Aman, Da Run Fa La Mosque, and Masjid Jami Ul Khoy Riyah. You can shop till you drop at shopping havens such as Pratunam Market, the Victory Monument, MBK, Siam Paragon. Or you can opt for bargain-hunting at Siam Square, an alternative shopping district which is also accessible to the hotel. The Nouvo City Hotel is a 4-star hotel that holds a 6-star CrescentRating. It is the only modern boutique Halal hotel consisting of casual rooms with free Wi-Fi, flat-screen televisions, rainfall showers and hand showers for toilets. Its rooftop features a pool with colorful sun loungers. You can find it near Khao San Road and is just a 10-minute walk from Banglumphu Market and Canal. The hotel also is accessible to heritage sites such as the Grand Palace and Wat Phra Kaew. The tour desk is very accommodating and is able to offer ticketing services that include trips with halal meals. Here, the majority of the staff are Muslims. Room attendants are all female. They do not allow alcohol anywhere in the hotel’s premises. There is no gambling nor disco bar in the hotel as well. You can find sumptuous Halal food in its two halal-certified restaurants, Sara and Canal. Sara Restaurant has a five-star Halal rating by the Central Islamic Council of Thailand (CICOT). It is well-known for its a la carte Thai, Indian and Continental cuisines during breakfast, lunch and dinner. On the other hand, Canal restaurant provides a scrumptious buffet selection. They also offer a wide range of other halal food services, including halal room service and halal banquets. You can also arrange for Sahoor and Iftar Meals during Ramadan. You can also schedule trips to nearby mosques during Taraweeh and Eid prayers with the hotel’s transport service. There is a public prayer room for both male and female guests. Those who prefer to pray in the comfort of their hotel rooms can refer to the Qibla direction markers on the rooms’ ceilings. Upon request, the hotel also provides the Holy Quran, prayer mats and prayer dresses for females. Al Meroz Hotel is a 4-star accommodation that’s just a 10-minute walk away from Ramkhamhaeng Airport Rail Link Station. With a Muslim owner managing the hotel, you can expect numerous excellent Halal features from this place. It houses 2 halal certified restaurants, Diwan Restaurant and Barakat Mediterranean Cuisine. Both restaurants serve a wide range of buffet and international dishes all-day round. There is a public prayer room located within the vicinity of the hotel. Visitors can also find the Holy Qur’an and prayer mats in their rooms. The majority of the hotel’s staff are Muslim and are very helpful and pleasant. If you will like to venture out of the hotel, you can find several Muslim locations around the area. Nearby you will find the Foundation of Islam and numerous halal eateries at The Mall Ramkamhaeng 3. If you prefer to relax in the comfort of the hotel, you can go to the outdoor pool which offers a panoramic view of the beautiful city. You can also work out at the well-equipped fitness centre or simply surf the internet with the free Wifi available. 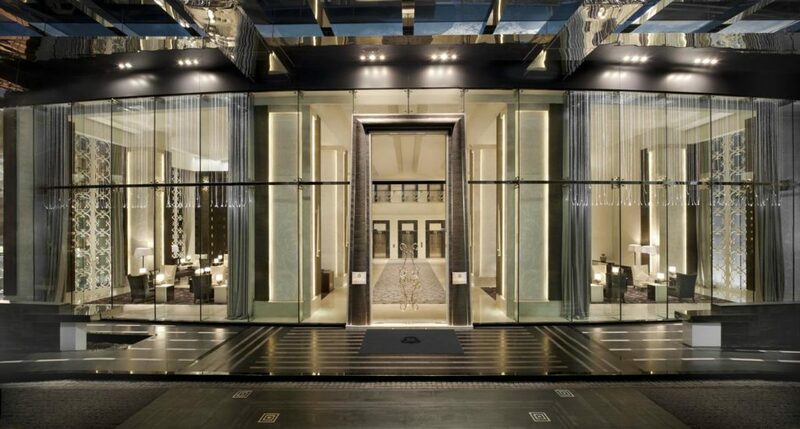 The posh St. Regis Bangkok holds a Gold Salam Standard Certificate, making it one of the best Halal hotels in Bangkok. 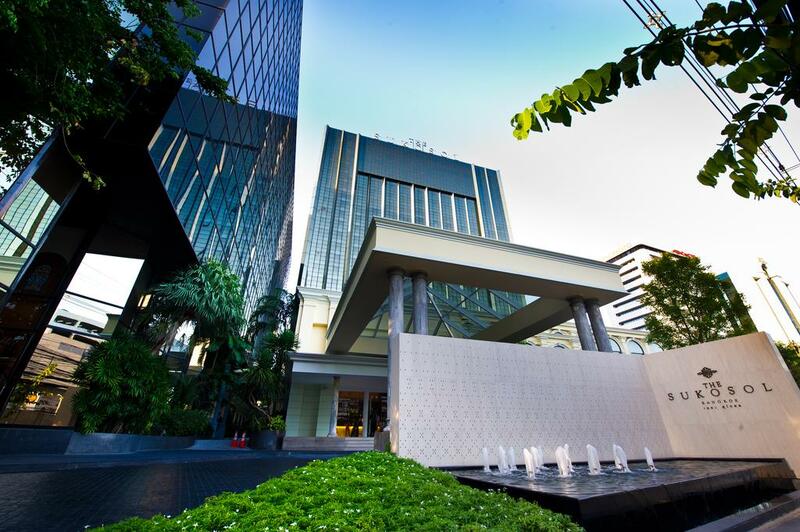 You can find it just 15 minutes away from Siam Paragon Mall and Lumpini Park. Staying at this hotel guarantees relaxation, with each room having a Select Comfort bed and Frette Italian sheets. Complimentary wi-fi and valet service is also available. Like most Halal hotels in Bangkok, the St. Regis has Qibla direction markers in each room. Prayer mats are available upon request. You may also ask them to remove the alcohol from your minibar. Not only do they serve halal food, but also have a list of halal restaurants for your convenience. Sinthorn Steak House Ramkhamhaeng and Fahana are just two of the many local halal places near St. Regis Bangkok. Other services include babysitting, a limo service, and ticket assistance for tours. The Grand Diamond Suites lives up to its name. 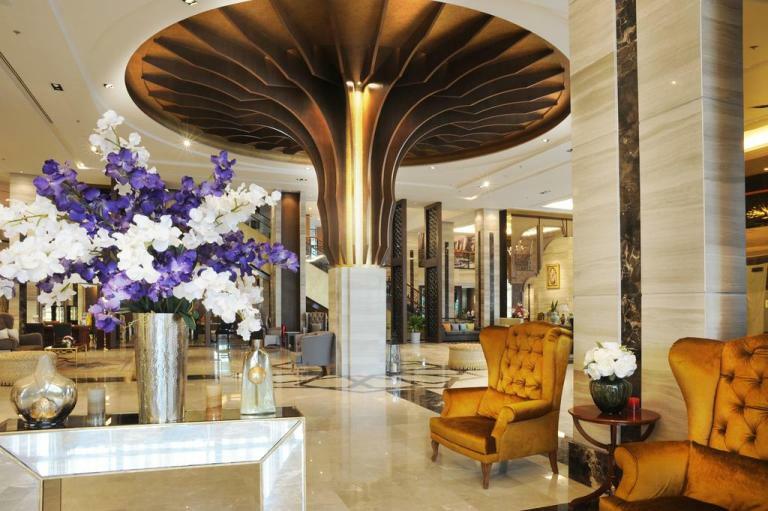 The hotel’s elegant earthy interiors are reminiscent of the kingdom of Siam. All rooms have free wi-fi, airconditioning, cable programming and laptop safes. There are also private spa tubs in each of the hotel’s rooms. The Grand Diamond Suites is also a favorite among travelers who love to shop. That’s because it’s right next to Platinum Mall along Petchburi Road, and near Siam Paragon and Pratunam Market. There are several halal hotels in Bangkok that carry the Gold Salam Standard Seal. And the Grand Diamond Suite is another one of them. Hence you can expect Halal food from their restaurant, as well as qibla direction markers in each room. Prayer mats are also available upon request. 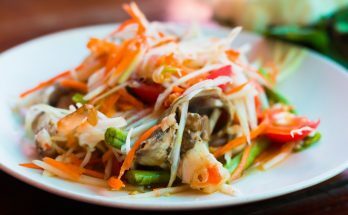 They also have a list of halal restaurants nearby, should you want to try local Thai halal cuisine. 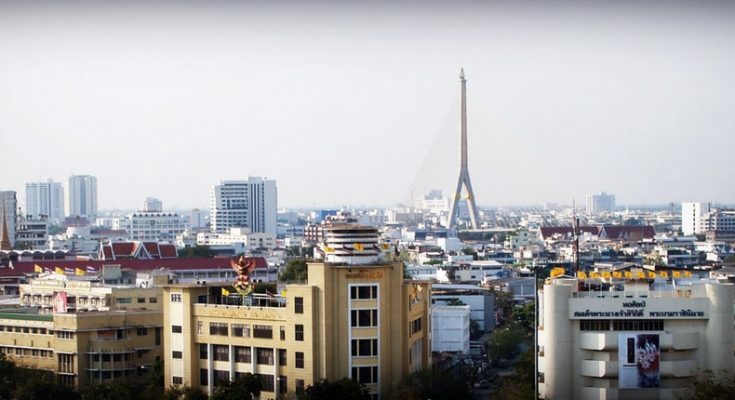 The Grand Diamond Suites are also near Fahana and Sinthorn Steak House Ramkhamhaeng. The hotel is near two mosques, namely Masjid Naimastulislam and Niamatul Islam Mosque.